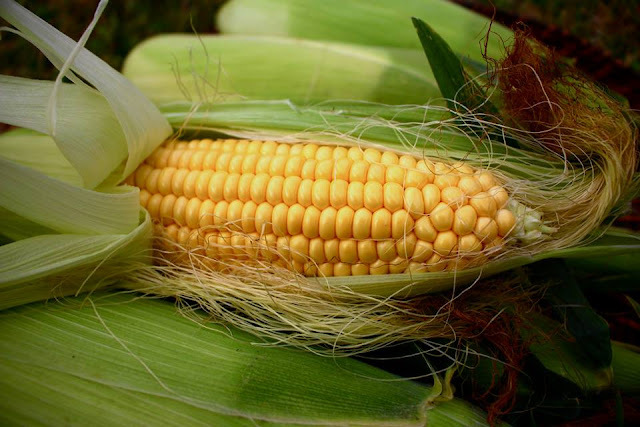 It's sweetcorn season and I'm so excited to see it everywhere in supermarkets and farmer markets. I always love to have it grilled or boiled and keep the juice for making soup. That sweet broth will make your soup tastes wonderfully sweet. I would buy fresh ones every autumn, remove the kernels and keep it in the freezer and use it through the year until the next season. 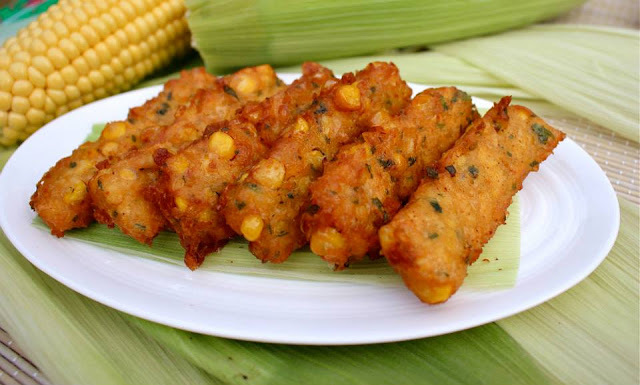 There are many recipes for sweetcorn from salad, stir-fried, stew, soup and this time I show you the famous Thai corn fritter. Give it a try: just pop them in the grill with the husk still on as it will retain moisture and the fresh flavour. You will enjoy them as a great snack or remove the kernels to make a salad. You need 3 corn or you could use 2 and 1/2 cups of frozen corn kernels. 1 tablespoon Thai red curry. 3 spoons brown rice flour( or rice flour). Coriander( or scallions) for flavouring. 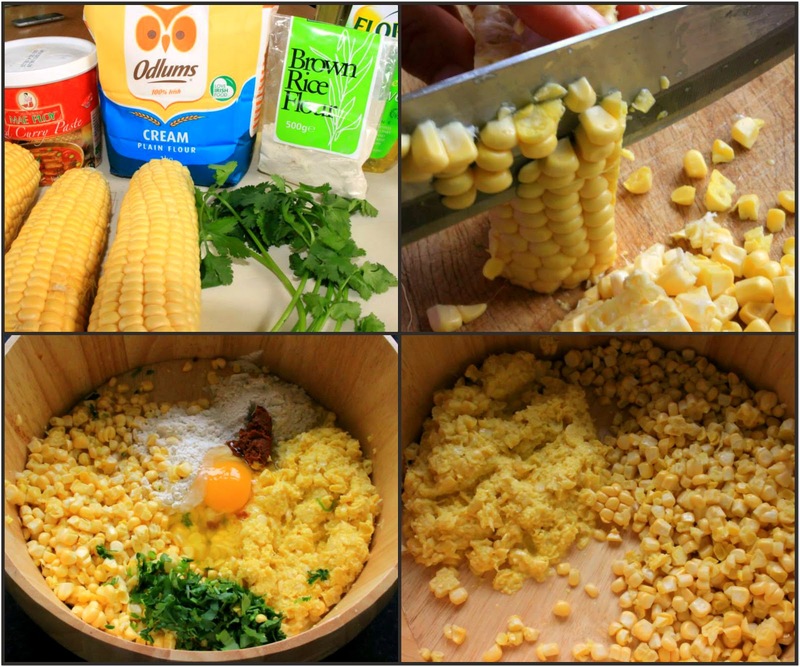 Remove corn kernels from the cob . Blend half of the corn. Add 1 spoon Thai red curry, chopped coriander, 3 spoons plain flour, 3 spoons brown rice flour. Crack in one egg. Mix well together. Use a square box or tray to shape and pour the paste over the baking paper. Flatten the paste thinly then freeze them. After half an hour you can cut the paste into shapes that you want. Otherwise use a plastic spoon or spatula to drop the corn paste into the boiling oil. Use another spoon with other hand to flatten the paste while sitting at the bottom of the pan. 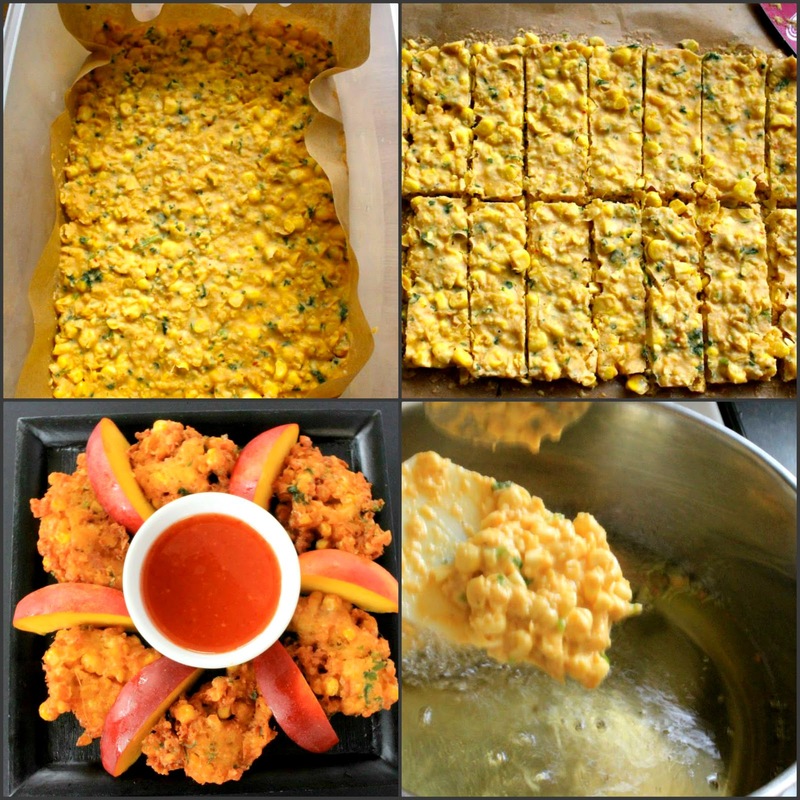 Fry the corn on medium-high heat until golden brown.